This entry was posted in architecture, Cape Town Architects, Freezer Facility, Industrial and tagged architect, architecture, design, Industrial on May 18, 2017 by KUBE architecture. 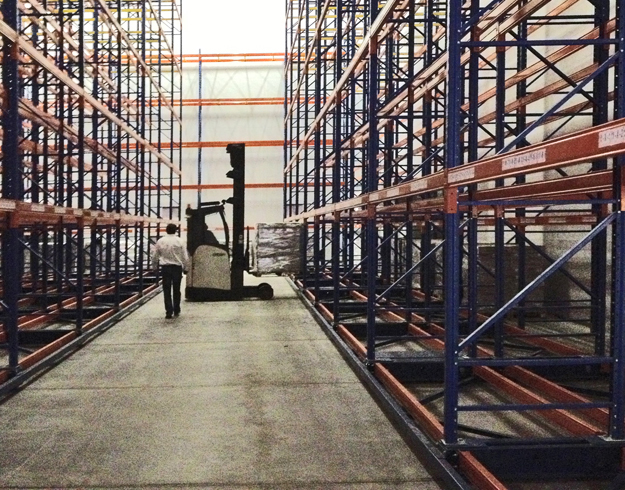 The reach truck loading the first of over 2500 pallets onto the mobile racking system with the temperature maintained at a constant -20 degrees. This entry was posted in Cape Town Architects, Freezer Facility, Tydstroom and tagged architect, architecture, Industrial, KUBE architecture, Tydstroom on May 14, 2013 by KUBE architecture.